Whiddon shares timeless principles to achieve not only sustainable success, but a life of significance with his “back to the future” approach. Author, CEO and The Old School Advantage (TOSA) Founder J.N. 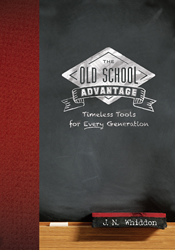 Whiddon takes high school students to college grads, working professionals to seasoned mentors, on a fast-track to developing extraordinary communication and leadership skills in his new book The Old School Advantage: Timeless Tools for Every Generation (Brown Books Publishing Group). 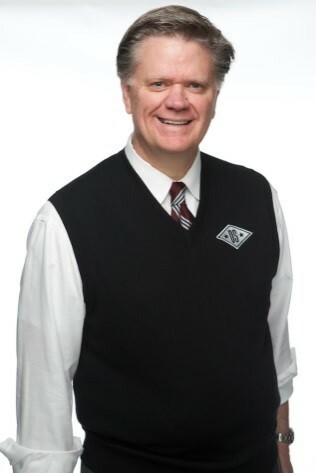 Whiddon believes in teaching “Old School” principles to help anyone gain true wisdom and understanding. He knows what it takes to succeed in our technology rich age by showing people how to improve their interpersonal skills in order to lead others effectively. Whiddon’s “back to the future” mentoring approach is dedicated to helping everyone learn universal secrets of success through referencing leaders of the past and respected historical figures. “Life becomes richer when you are learning. Leaders never stop seeking out and soaking up knowledge. It’s all about building a life and leaving a legacy that will endure,” says Whiddon. His passion for teaching core wisdom principles provides readers with valuable communication and leadership development tools and also offers a curriculum to train and equip future leaders of America, helping them reach full potential academically, professionally, and personally. With The Old School Advantage, Whiddon presents centuries of insight from ancient philosophers to world leaders, sports legends through modern day scholars. What he has gleaned in more than 30 years as a CEO, entrepreneur, parent and mentor is a wealth of proven techniques that anyone can use. A handbook for every generation, its 300+ pages feature etched pen-and-ink illustrations to highlight key wisdom principles. Founded by Milli Brown in 1994, Brown Books Publishing Group is a full-service, independent publisher of high-quality books across all genres, from nonfiction to fiction. Committed to producing award-winning books for authors who choose to retain the rights to their intellectual property, Brown Books publishes more than one hundred titles a year and has won numerous prestigious awards, including the Writer's Digest Grand Prize, Mom's Choice Award, Foreword Book of the Year, Gold Ink Award, Axiom Business Book Award and many more. Brown Books authors have appeared on programs and channels such as the “Today” show, Fox News, “Face the Nation,” CNN and BBC News. They have been featured in publications such as USA Today, Publishers Weekly, and The New York Times. In addition, BBPG authors have been guests on NPR programming, including “The Diane Rehm Show,” “Morning Edition,” “The Takeaway,” and “Tell Me More.” To learn more, visit http://www.BrownBooks.com and BrownBooksKids.com and http://www.BrownChristianPress.com. The Agency at Brown Books is a full-service public relations, marketing and branding firm within a publishing house. As a subsidiary of Brown Books Publishing Group, The Agency is backed by 20 years of excellence and experience, and the one-of-a-kind, integrated platform is available to Brown Books' authors as well as to non-affiliated authors, established writers, entrepreneurs, CEOs and anyone seeking smarter strategies for building their business. For more information, visit http://www.TheAgencyAtBB.com.